Tokyo was heavily robotic research. Including one of the robotics company called ZMP which recently introduced Robocar based Linux operating system can be used to test the Autonomous Auto Technologies. Robocar has a size of 17 inches and is bundled with AMD Geode LX800 as a processor, Wi-Fi 802.11 b / g / n, stereo CCD cameras, IR sensors 8, 3 accelerometer, Gyroscope and the laser beam. Robocar in the price range of $ 7,000. 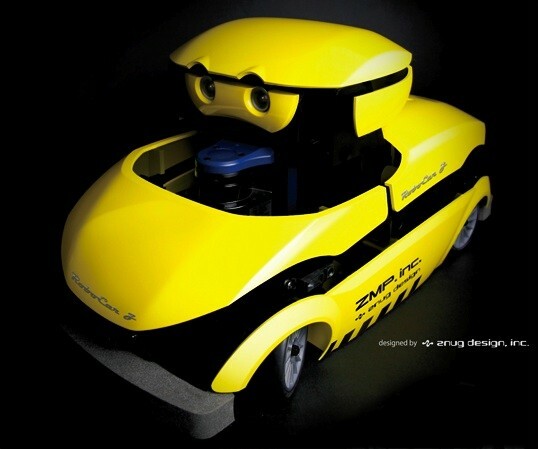 Robocar produced quite limited, for this year alone produced only about 200 units.